Israel’s ret til at eksistere som en suveræn stat. Der indledes med at slå fast, at Israel’s ret til at eksistere, indenfor sikre grænser, ikke er til diskussion, og at man i denne forbindelse kun behøver referere til 3 sikkerhedsrådsresolutioner, #42 (1948), #242 (1967) og #338 (1973). Grundlaget for disse ligger i lige linje fra Balfour deklarationen (1917) over San Remo mandatet (1920) til staten Israel’s udråbelse som jødisk stat den 15. maj 1948 på basis af FN Generalforsamlingens resolution #181 (1947). Derfor skal Israel behandles som en suveræn stat på lige fod med andre suveræne stater, og de love som gælder for andre suveræne stater, skal også gælde for Israel. Det gør de bare ikke, når det kommer til Judea og Samaria, som er omstridte områder, og ikke besatte nationalstats-områder. Israels rettigheder tilsidesættes groft af blandt andre europæiske anti-israelske politikere, herunder vor egen udenrigsminister, Villy Søvndal, folketingets formand, Mogens Lykketoft, og deres allierede i Enhedslisten, og de er alle hoppet med på løgnen, som er blevet en myte og af de samme anti-israelske politikere efterfølgende er ophøjet til international lov, som ellers rettelig er international løgn. Når løgne gentages så mange gange, at de bliver til myter, og efterfølgende fuldstændig ukritisk bliver ophøjet til internationale love af anti-israelske politikere, i deres bevidste konstante forsøg på diskriminering af den jødiske nation, Israel, så er der grund til at råbe dem op. Israels modstandere vælter sig i en ren syndflod af “Internationale love” som bare ganske enkelt ikke eksisterer. 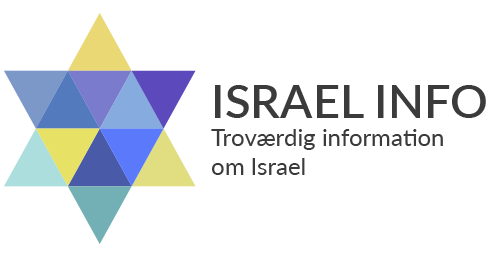 Og vælter sig i anti-israelske FN Generalforsamlingsresolutioner, som ikke er retsgyldige og slet ikke udtryk for internationale love. Den meget respekterede og internationalt anerkendte israelske premierminister, Golda Meir sagde det således: “Hvis et flertal i FN’s Generalforsamling kunne vælge at stemme Jorden flad, for at genere Israel, så ville den gøre det” Der er lidt tvivl om hvem der brugte metaforen først, men Abba Eban, ligeledes internationalt anerkendt israelsk diplomat, politiker og udenrigsminister anvendte metaforen på et andet tidspunkt og lidt anderledes. Vi kender alle Balfour deklarationen. 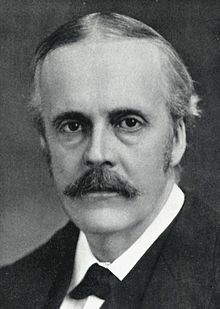 Men Balfour Memorandum fra 1919 er knap så kendt og handler om den britiske udenrigspolitik i forbindelse med opdelingen af området i britiske og franske mandater. Om det jødiske hjemland står der: Palestine must be made available for the largest number of Jewish immigrants. It is therefore eminently desirable that it should obtain the command of the water-power which naturally belongs to it, whether by extending its borders to the north, or by treaty with the mandatory of Syria, to whom the southward flowing waters of Hamon could not in any event be of much value. For the same reason Palestine should extend into the lands lying east of the Jordan. It should not, however, be allowed to include the Hedjaz Railway, which is too distinctly bound up with exclusively Arab interests. de facto anerkendelse af, at de arabiske territorier herefter er det franske mandat Syrien, som senere bliver til Libanon og Syrien, samt det engelske Mesopotamien (Irak) og hele den arabiske halvø, som består af forskellige arabiske kongedømmer udenfor mandaterne. Har Israel ret til at eksistere i henhold til international lov? Ja. Har Israel ret til Østjerusalem, Judea og Samaria? Ja. Er Israel en besættelsesmagt af land tilhørende en anden suveræn stat? Nej. Er de israelske bosættelser ulovlige? Nej. Er annekteringen af Østjerusalem ulovlig? Nej. Og det står faktisk ikke til diskussion. Men derfor kan der godt forhandles ægte fred, hvor palæstinenserne gerne vil opnå en grad af selvstændighed, eller endda en tredje pal-arabisk stat. Den første var I virkeligheden Jordan. Den anden er Gaza. Many pro-Palestine activists and members of the international community falsely have claimed that Israel has violated the Fourth Geneva Convention. For example, a UN Human Rights Council panel has declared that Israel building Jewish communities in Judea and Samaria violates the Fourth Geneva Convention. Christine Chanet, the French judge who headed this U.N. inquiry, asserted, “To transfer its own population into an occupied territory is prohibited because it is an obstacle to the exercise of the right to self-determination.” Yet any careful examination of international law would establish that Judea and Samaria, as well as East Jerusalem, are not occupied territories and that the Geneva Convention spoke of forced transfers, such as what the Nazis did, not the voluntary transfers that Israel engages in. The International Commission of the Red Cross clarified this article in 1958 by asserting, “It is intended to prevent a practice adopted during the Second World War by certain Powers, which transferred portions of their own population to occupied territory for political and racial reasons or in order, as they claimed, to colonize those territories. Such transfers worsened the economic situation of the native population and endangered their separate existence as a race.” This establishes the point that Article 49 of the Geneva Convention refers to forced transfers of population that result in endangering a conquered nations’ existence, not voluntary settlement to open areas, even for cases when an occupation does indeed take place. Yet, there is a strong legal case to be made that the term occupation does not even apply to Judea and Samaria, as well as East Jerusalem. Article 2 of the Geneva Convention has made clear that the Fourth Geneva Convention only applies to two or more high contradicting parties, which is not the case at hand since the international community never recognized Jordan’s annexation of Judea and Samaria. Further, Egypt never bothered to annex Gaza and no Palestinian Arab state ever existed throughout human history. However, according to the San Remo Resolution of April 25, 1920 and the Mandate for Palestine of July 24, 1922, Judea and Samaria, East Jerusalem, and Gaza were all supposed to be part of a Jewish state. These agreements are still relevant, since Article 80 of the UN Charter states that all mandates of the League of Nations are still valid. Some people falsely believe that the Palestine Mandate was terminated in 1947, but this is not correct. According to Professor Eugene Rostow, former dean of Yale Law School, “A trust never terminates when a trustee dies, resigns, embezzles the trust property, or is dismissed. The authority responsible for the trust appoints a new trustee, or otherwise arranges for the fulfillment of its purpose.” Thus, while the Palestine Mandate ceased to exist in Israel and Jordan when Israel and the Hashemite Kingdom obtained independence, Professor Rostow claims “its rules apply still to the West Bank and the Gaza Strip, which have not yet been allocated either to Israel or to Jordan or become an independent state.” He claims that legally speaking, the Armistice Lines of 1949 represent nothing more than the positions the contending armies finished at the conclusion of Israel’s War of Independence. Since the end of World War II, no territorial dispute in the world has been defined as occupied territories, except in Israel’s case. According to Eli Hertz, in virtually every other disagreement concerning borders and territories, the most common terms applied are territorial disputes and contested borders. This is even the case for the places like the Western Sahara, Northern Cyprus, and Nagorno-Karabakh. Furthermore, given the legal status of Palestine under the British Mandate, as a state to be established for the Jewish people, Israel also has stronger grounds to argue based on international law that these territories are within her national borders than any other state within the region. The Geneva Convention is generally thought to apply to Israel’s occupation of the West Bank – that portion of the League of Nations Mandate for Palestine previously occupied by the Jordan. This is important because the legal argument against settlements is that they violate Art. 49(6) of the Fourth Geneva Convention, a provision which did not reflect prior international law. Because the West Bank was not part of the sovereign “territory of a High Contracting Party” (or of any country) in 1967, and Israel has argued that “occupation” within the meaning of the Convention can only exist in such territory. Of course, most international lawyers disagree, though in the years after 1967, some very prominent ones agreed. The principle that enemy territory occupied by a belligerent in course of war remains the territory of the state against which the war is directed, can apply only as long as this community still exists as a state within the meaning of international law. This is hardly the case if, after occupation of the whole territory of an enemy state, its armed forces are completely defeated to that no further resistance is possible and its national government is abolished by the victorious state. Then the vanquished community is deprived of one of the essential elements of a state in the sense of international law: an effective and independent government, and hence has lost its character as a state. If the territory is not to be considered a stateless territory, it must be considered to be under the sovereignty of the occupant belligerent, which—in such a case—ceases to be restricted by the rules concerning belligerent occupation. This was the case with the territory of the German Reich occupied in the Second World War after the complete defeat and surrender of its armed forces. In view of the fact that the last national government of the German Reich was abolished, it may be assumed that this state ceased to exist as a subject of international law. There is a lot of research to be done in this vein. I recently came across a discussion in the U.N.’s International Law Commission from 1950, as part of the drafting of the Draft Declaration on Rights and Duties of States. There were quibbles from countries such as France about whether annexation is always banned, or whether there might be various exceptions. In order to sort out which interpretations of international law have been created out of whole cloth to apply only to Israel (sui generis) and which are actual international law, it is useful to look up scholarly research on international law between 1949 – when the Fourth Geneva Convention was written – and 1967. It sounds like Kelsen is arguing that Israel wouldn’t have had any legal obligation to follow the Geneva Conventions laws of occupation in the territories. They were not considered Jordanian or Egyptian territory and they certainly weren’t “Palestinian”. To apply the humanitarian components of Geneva is proper, of course, and Israel voluntarily did so. But this sounds to me that even if you hold that the prohibition of “transfer” of a population to the territory includes voluntary relocation, that this would not apply to the West Bank or Gaza after 1967.
Who says international law doesn’t change? What used to be OK is now forbidden – because Israel is considered guilty at the outset. Professor Eugene Kontorovich holder foredrag om Israel og om international lov. Som han fuldstændig korrekt udtrykker det, så er Balfour deklarationen stort set både den første og næsten eneste internationale lov om det jødiske hjemland i det senere britiske palæstina-mandat. San Remo mandatet stadfæster jo Balfour deklarationen, og præciserer. At de jødiske hjemland er mandatet vest for Jordan-floden. Eugene Kontorovich er en af USA’s allermest anerkendte forskere indenfor videnskabelige analyser af forhold omkring eksisterende og ikke eksisterende international lov. 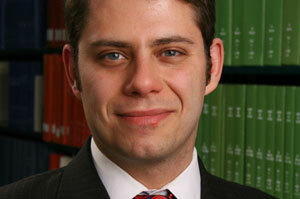 “Professor Kontorovich’s research spans the fields of constitutional law, international law, and law and economics. He has authored a series of papers that extend “transaction cost” analysis from private law to constitutional law. Prof. Kontorovich is also a leading expert on maritime piracy, universal jurisdiction and international criminal law. His scholarship has been relied on in important foreign relations cases in the federal courts, and historic piracy cases in the U.S. and abroad. He is working on a book, Justice at Sea: Piracy and the Limits of International Criminal Law, under contract with Harvard University Press”. Levy kommissionen i Israel kom frem til nøjagtig de samme konklusioner. Judea og Samaria er ikke besat land tilhørende en anden suveræn stat, og allebosættelser er derfor legale, altså ikke som det ellers påstås ulovlige. Former Justice Edmond Levy’s committee report declares Israel’s legal right to own Judea and Samaria. Judea and Samaria are not under occupation rule. This is the central finding of the “Outposts Committee” which was appointed to examine the legal status of Israel in Judea and Samaria, according to the daily Makor Rishon. The committee members, former Supreme Court Justice Edmond Levy, Circuit Judge Techia Shapira and jurist Dr. Allan Baker, this week have concluded the writing of their report which suggests adopting a new and old judicial framework regarding Israel’s status in Judea and Samaria. The committee analyzed the historic and legal background of Judea and Samaria and concludes that the belligerent occupation approach must be discarded as reflecting Israel’s status in those areas. According to the committee’s approach, Judea and Samaria were in a judicial vacuum before the Six Day War. The reason was that the Kingdom of Jordan, which held those territories, did so against the rule of international law, and its sovereignty over them was recognized solely by Great Britain. Since Jordan was not the legal sovereign, the report argues, the territories cannot be defined as occupied in the legal sense of the word. In addition, the committee offers a string of arguments showing that Israel itself has a legal connection to those territories, which is another reason why it is not an occupier. The 90 page report, including addenda, discusses at length the issue of the outposts. 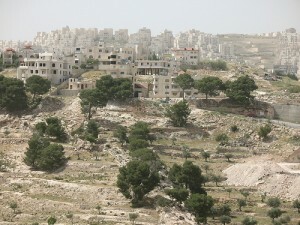 Levy, Baker and Shapira fundamentally reject the legal line used by Attorney Talia Sasson in her report on the outposts. To their understanding, the vast majority of outposts can be defined as legal, since they are within the master planned areas of legal settlements whose establishment was approved by the government. The committee further recommends that the Nature and Parks Authority declare thousands of acres in the Judea and Samaria as national parks, to facilitate the preservation of their environmental resources. With the conclusion of the committee’s work the ball returns to the court of Prime Minister Netanyahu and Justice Minister Ne’eman, who ordered the report. Prior to the committee’s appointment the Attorney General informed Netanyahu that the judiciary is not obligated to follow its conclusions. Netanyahu told committee members that he wishes to read the report before deciding on his next steps. The next phase is expected to include bringing the report before the Ministers Committee on the Settlements, but the main question remains whether Netanyahu and Ne’eman will be able to force the judiciary system to adopt its recommendations. It should be noted that committee members belong to Israel’s judicial elite. Chairman Edmond Levy was considered unique among Supreme Court justice in his sensitivity to social issues. 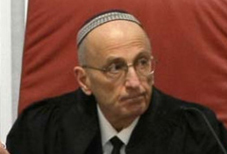 Techia Shapira is a sitting Circuit Judge in Tel Aviv. Dr. Allan Baker is an expert on international law and served as legal consultant to the foreign office. 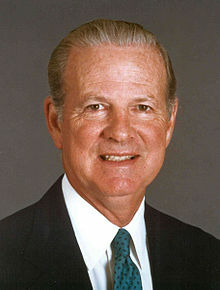 Among other things, he participated in formulating the Oslo Accords. En fransk domstol kom frem til nøjagtig det samme resultat. Judea og Samaria er ikke underkastet Haag bestemmelserne om besat land tilhørende en suveræn nationalstat, og de israelske bosættelser er derfor ikke ulovlige. Dreuz reports that a French appeals court in Versailles has ruled that Israel was not acting illegally in building a light rail line across the Green Line. The PLO must pay 30,000 euros separately to Alstom, Alstom Transport and Veolia Transport. The PLO had argued that Israel was violating the Geneva Conventions by “transferring” citizens to the territories and destroying property, as well as a host of other claims. Going beyond that, the court ruled that the Geneva Conventions and Hague Regulations only apply to states, and to signatories, and the PLO is neither. The full ruling is also at the site, but in French. Dommen ved Appeldomstolen I Frankrig vurderes af professor Eugene Kontorovich, og budskabet er klart, Israel bryder ingen internationale love I Judea og Samaria. Daniel Mandel “The Myth of Jewish Settlements in International Law”. “Yet, as absurd as the idea is, Gavison points to something nonetheless real that highlights a general problem for free societies, not merely Israel: time does tend to work in favor of processes of legal perversion, when new, sometimes scarcely-known, treaties or “norms” are increasingly given standing by transnational forums and courts with little interest or sympathy for the values and interests of free societies. The day arrives thus when a new legal fact has been created, no matter how absurd or noxious. In respect of Article 49, that day hasn’t arrived, but Palestinian agitprop is working on it. Med andre ord, endnu en bekræftelse af, at løgnen er blevet en myte og af de anti-israelske politikere efterfølgende er blevet ophøjet til ikke eksisterende “internationale love”, men reelt er udtryk for “internationale løgne”. Hvorvidt de israelske bosættelser er umoralske eller politisk ukloge eller udgør en hindring for enhver fredsproces, kan diskuteres. Men det, der har været vigtigst for mange i det internationale samfund, er spørgsmålet om bosættelsernes illegalitet ifølge international lov. Herom kan der siges to ting. Det ene er, at man fra starten må forstå, at hele problematikken i realiteten ikke drejer sig om legalitet, men indgår som et vigtigt element i de politiske faktorer: territorialstriden mellem Israel og palæstinenserne og andre arabere om nogle områder, som begge parter gør krav på; spørgsmålet om hvem der har lovfæstet suverænitet over områderne; en palæstinensisk stat; og Israels ønske om sikkerhed. Det andet er, at der ikke eksisterer nogen klar og alment accepteret, international lov vedrørende spørgsmålet om bosættelserne. Det er rimeligt at udvise en passende respekt, om ikke total ærbødighed, over for både den historiske og den politiske kontekst på to felter: de relevante internationale aftaler; og de faktiske forhold [facts on the ground]. Den yderst vigtige San Remo-traktat fra 1920, som nedfældede Folkeforbundets [League of Nations] vedtægter, handlede om det nylig kollapsede osmanniske imperiums landområder og skabte en politisk konstruktion i et geografisk område, som den kaldte for “Palæstina.” Dette mandat blev af Folkeforbundet tildelt England i 1922. Mandatets Artikel 6 fastslog, at administrationen i Palæstina, i realiteten England, “skal opmuntre til tæt, jødisk bosættelse i landet, herunder på statsejet jord som ikke er påkrævet til offentlig brug.” Der tales ikke om jødiske bosættelser på den østlige bred, fordi englænderne allerede dér havde skabt en helt ny institution, nemlig emiratet, det senere kongedømme Jordan. Palæstinamandatet anerkendte det jødiske folks historiske forbindelse til Palæstina og opfordrede til etableringen af et nationalt hjem for det jødiske folk, uden at definere grænserne. Den såkaldte “Grønne Linje” er ikke en grænse, men er det sted, hvor de kæmpende hære indstillede kampene og accepterede en våbenhvile i krigen 1948-49. Den har ingen administrativ, geografisk eller topografisk betydning. En forenklet definition på en israelsk bosættelse er et beboelsesområde opført øst for den Grønne Linje. Hermed ignorerer man eksistensen af jødiske bosættelser før staten Israels oprettelse. Disse omfatter andre, flere hundrede år gamle bosættelser så som Hebron, det jødiske kvarter i Jerusalem, foruden dem der blev grundlagt under det britiske mandat, så som Neve Ya’acov, nord for Jerusalem, Gush Etzion-blokken på Vestbredden, nogle nord for Det Døde Hav og Kfar Darom i Gaza-regionen. Den eneste politiske myndighed, som forbød jødisk bosættelse, var den jordanske regering, som mellem 1949 og 1967 erklærede at have annekteret Vestbredden. Denne forenklede definition ser også bort fra de mange typer af bosættelser. Nogle udgør små landbrugssamfund og grænselandsbyer; andre er urbane forstæder eller byer, så som Modi’in Illit, Maale Adumim og Betar Illit, med en anselig befolkning. Nogle er blevet anlagt af sikkerhedshensyn. Et betydeligt antal er udposter, små uautoriserede bosættelser, nogle få mobile hjem, sædvanligvis placeret på en bakketop. I øjeblikket findes der godt 121 bosættelser og mere end 100 uautoriserede udposter. Det østlige Jerusalem og de nærliggende blokke på Vestbredden, Givat Zeev og Maale Adumin, ligger på den vestlige side af linjen. Israel trak alle bosættere tilbage fra Sinai i 1982 og de 8.000 bosættere fra Gazastriben i 2005. Omkring 534.000 personer bor nu i bosættelserne, som optager mindre end 3% af det omstridte landområde. Vedrørende dette argument kan der anføres flere ting. Som det første og vigtigste må anføres, at ingen israelere bliver deporteret eller forflyttet til bosættelserne; af forskellige årsager flytter israelere ud til dem frivilligt. Nogle udspringer af økonomiske faktorer, hvor bosætterne drager fordel af offentlige og private incitamenter og fordelagtige lån. Andre er foranledigede af religiøse medlemmer af Gush Emunim (Bloc of the Faithful/De Troendes Blok), der opfatter sig selv som jøder, der vender tilbage til det bibelske, jødiske hjemland. Bosættelsesområderne befinder sig hverken under nogen stats legitime suverænitet eller på privatejet, arabiske jord. Hensigten med dem er heller ikke at fortrænge arabiske indbyggere, ej heller har de nogensinde gjort dette. Dette blev demonstreret i 2012 af den israelske højesteret, da denne påbød evakuering af bosættere fra ulovlige beboelser i Ulpana, en uautoriseret udpost i udkanten af Beit El. For det andet bliver ingen palæstinensiske arabere deporteret fra det sted, hvor de bor, hen til et andet sted. For det tredje er der ingen forbrydelser, for slet ikke at tale om “krigsforbrydelser,” blevet begået. De konkurrerende krav fra Israel og palæstinenserne og andre arabere kan kun afgøres gennem fredelige forhandlinger. Hvis palæstinenserne kan gøre legitime krav på de omstridte områder, så kan Israel også i kraft af sin historiske og religiøse tilknytning. Det internationale samfund synes at have glemt de klare udtalelser i de forskellige våbenhvileaftaler fra 1949, som tilkendegav, at våbenhvilelinjerne “ikke fastlægges i nogen forstand som politiske eller territoriale grænser.” Ingen foranstaltninger i disse aftaler var på nogen måde ment til at foregribe parternes rettigheder og krav i “den endelige fredelige løsning på Palæstina-problemet.” Den israelske tilstedeværelse i de omstridte områder er lovlig indtil indgåelsen af en fredsaftale, for Israel bevægede sig lovligt ind i dem i selvforsvar.